A vacation in the Austral Islands is well suited for travelers with a spirit for adventure, who seek out untouched corners of the earth. Hundreds of miles to the south of Tahiti, this chain of five high islands is located on the Tropic of Capricorn. The Australs are famed as much for the traditional art of weaving coconut and pandanus leaves into elaborate hats, purses, mats, and bags, as for the seasonal passage of humpback whales in its surrounding waters. Compared to the rest of French Polynesia, accommodations in the Australs can be scarce, consisting only of a few small hotels and family pensions scattered across the islands. 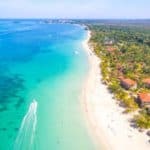 Still, there is plenty to see and experience in the region, known for its superb white sand beaches, rich vegetation and distinctly dramatic geological characteristics. The Austral Islands in this guide include Raivavae, Rurutu, Tubuai, Rimatara, and Rapa. Rurutu is the northernmost island in the Austral archipelago. The topography of the island is striking, consisting of high cliffs surrounded by numerous caves, which can be explored by visitors. Humpback whales are another exceptional attraction here from July to October, but diving in the waters of Rurutu can be done all year round. 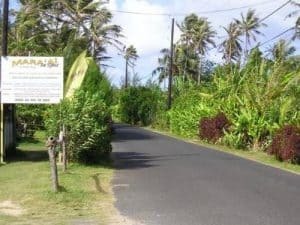 The largest of the Austral Islands is Tubuai, often called ‘The Island of Plenty.’ Tubai is comprised of two sets of hills on the eastern and western flanks of the island, joined by lowland valleys. When seen from the sea, this gives the appearance of being two islands. Tubuai is surrounded by a barrier reef enclosing a wide lagoon with fringing white sand beaches, making it an ideal spot for snorkeling. The area is also slowly gaining recognition as a haven for surfing. Rimatara is the smallest of the Australs in size, height, and populace. Currently, visitors arrive by whaleboat at one of two villages, Amaru or Mutua Ura, but a new airport is in the process of being constructed. When new visitors arrive to Rimatura, a traditional ceremony invites them to pass through a cloud of purifying smoke wafting from beachside fires. Situated just below the Tropic of Capricorn, Raivavae is one of the foremost islands for archeology and natural beauty in French Polynesia. 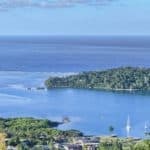 Air Tahiti services the islands with flights through Tubuai. About 1,100 people live in four coastal villages on the island, with Rairua serving as the administrative center. Finally, Rapa is the southernmost island in the South Pacific. Situated 100 miles from Raivavae and over 720 miles south of Tahiti, it is commonly called Rapa- ti or “little Rapa” in deference to the big Rapa (Rapa Nui) – Easter Island. Fittingly, the two islands share a strong cultural connection. Rapa’s 500 inhabitants are descendants of fierce Polynesian warriors, kings, hardy sailors and pearl-shell divers. There are not any major hotels on the Austral Islands. Just a few small pensions and family run homes where they rent a room. It is best to stay on one of the larger islands and take a day trip to the Australs. 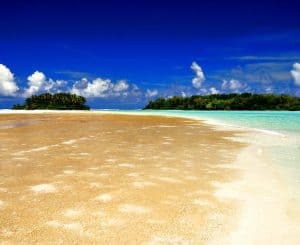 For more information on the beaches of the Austral Islands and French Polynesia beaches, click here. 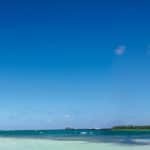 Read more to learn about the Austral Islands French Polynesia, so that you can plan your next dream vacation! In the Austral Islands, the month of January is characterized by essentially constant daily high temperatures, with daily highs around 87°F throughout the month, rarely exceeding 89°F or dropping below 83°F. Daily low temperatures are around 76°F, rarely falling below 74°F or exceeding 79°F. For reference, on March 24, the hottest day of the year, temperatures typically range from 77°F to 88°F, while on August 2, the coldest day of the year, they range from 71°F to 83°F. This restaurant/bar is in the Le Manotel hotel. Le Manotel is renowned throughout the island for its table d’hôte, Helen, the hostess, will make you enjoy her delicious cuisine based on local products. For more information call 689 40 930 225, or visit them on the web at Le Manotel. Unique whale watching opportunity while being served lunch. They serve delicious fresh fish. The decor is nonexistent at this no-frills eatery hidden behind a gate right across from the boat quay in Moerai, but the food is seriously good. The menu is limited to a couple of daily specials, but they’re a savory and sizzling hot value. For more information call 689 40 94 04 95, or visit them on TripAdvisor at Snack Piareare. Run by French Hervé and his Tahitian wife Ina, Mara’ai – Le Spot is the only independent restaurant on Tubuai. With a sand floor and a palm-frond roof, this is a cool and rustic place for a drink or a relaxed meal. It’s in the village of Tamatoa, southeast of the island. For more information call 689 40 95 08 32, or visit them on Facebook at Mara’ai – Le Spot. This is the restaurant within the hotel, Pension Ueue Rimatara. In the restaurant, beautiful “umete” enthroned on the tables tissue recalling the grounds of “tapa”. Dishes, hearty and made ​​with local products are served, the majority of products consumed from family farms or island. For more information call 689 87 74 66 13, or visit them on the web at Pension Ueue Rimatara. Archaeological sites are found in abundance. The limestone caves overlooking the cliffs were originally tombs for the islanders’ ancestors. Ana Pu’uru – Rurutu. Cave with gours, straw stalagmites and other amazing speleothems. Taupe’e Cave (Maperevaru) – Rurutu. Beautiful cave with stalactites, stalagmites, gours, cave pearls and other cave formations. Toarutu Cave (Mouth of Dragon) – Rurutu. Amazing cave with numerous columns, resembles a mouth of giant dragon. Ana Ae’o (Grotte Mitterrand) – Rurutu, Vitaria. One of the last inhabited caves in Rurutu. Ana Maniana – Rurutu. Legendary, elusive cave with treasures. 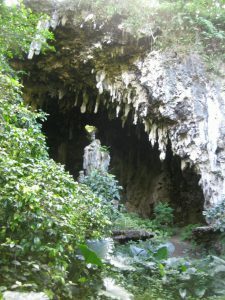 Anapiro Cave – Rapa Iti. One of the four ancient burial caves in Rapa Iti. Marae Hano – Tubuai. Large, well preserved marae, 30 by 30 m large, extended by a stone clad path towards the sea. Marae Pomavao – Ra’ivavae. Large, interesting marae. Contains forty standing stones, up to 1.8 m high, one is 2 m high. Marae Unurau – Ra’ivavae. Important, large and well preserved marae, with some 30 standing stone slabs which are up to 3 m tall. 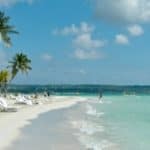 The island is a great mix of beautiful white fine sand, deserted beaches, a crystal clear lagoon, lush valleys and varied farming, majestic peaks and hiking trails… Land and sea blend nicely to provide travelers with a fulfilling range of experiences. Rurutu is known as the Island of Whales because every year from July to October, southern humpback whales migrate to these warm waters to mate or give birth and nurse their young. Due to the incredible underwater visibility, this is a nirvana for avid divers and whale watchers hoping to encounter these large marine mammals. They arrive each year between August and October to mate or give birth in the amazing clear waters. Mothers and calves swim under the water while males and females communicate offering whale watchers a moment of pure bliss. Whale watching excursions are offered seasonally. With little traffic to speak of, the Australs provide a safe environment for cyclists. 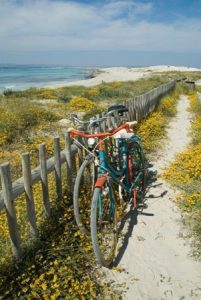 Though some hotels offer rentals, visitors are advised to bring their own bikes if possible. 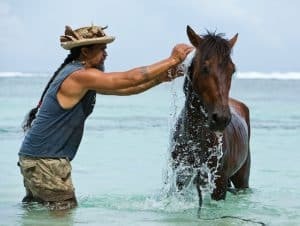 Horseback excursions into the rugged interior of Rurutu are available. Inquire with the management at your lodging facility. Great post and very informative, the scenery is wonderful, amazing pictures. Would love to get more info about wild life. I guess that you get many tourists there, do the locals only speak french. When is the best time to visit and taste that clear water. Thanks for the work put in the site to inform us, this place sounds like a dream destination, I would also like to know a little bit more about the local life and customs. You can go any where on the Austral Islands and have no worries as long as you speak English. That is like the second language there. I don’t know about give the local like and customs information, seems like my already long posts would end up being a mile long, LOL 😀 Thanks for reading Austral Islands French Polynesia! I haven’t heard of the Austral Islands before but what an absolutely stunning location, looks like it would be a holiday of a life time. Me and my wife have been planning a trip to the Maldives for some time now and are saving for this trip. It will take some convincing her to change her mind as we have had our hearts set on the Maldives for some time but I will be sharing this with her nevertheless. Boy, hard to compete with the Maldives, I will say that. 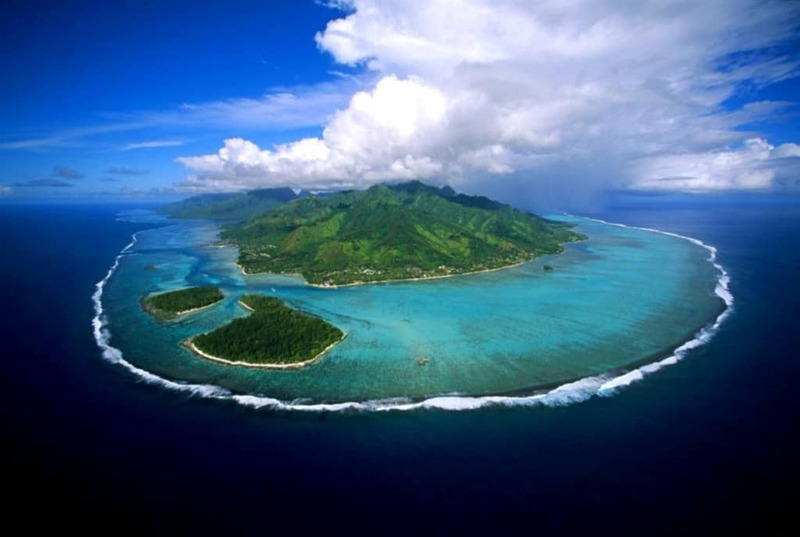 But I do believe that the Austral Islands are comparable and just as wonderful. 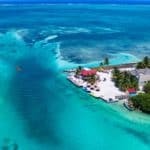 I do know that it will be a little less, maybe even a lot less crowded than going to the Maldives simply because most have not even heard of the Austral Islands. Thanks for visiting Austral Islands French Polynesia! To be honest when I first checked your website I was blown away for who mind blowing it is. Your content really sweeps you into a whole new world. As a travel a hobby of mine, I really felt I was there after reading your content and with all the additional content on activities and places to go, this really is the ultimate guide. Just wow. Also I love the media adding correct exposure to the topics too. Maybe I should go following your advice. I like you have a video to collect all your reading thoughts together soon, you have so much passion in what you do. Austral Islands are on the top of my To Do List because I love adventure plus I do a lot of scuba diving. I’ve always known Humpback whales go thru there seasonally, another reason for me. Hiking is also a favorite activity and different cultures are always exciting to experience. Wow… I had no idea renting a car was that expensive. Do you know if there are places to rent golf carts? Yes, you will find adventure and great diving in the Austral Islands for sure. I do not know of any golf carts for rent though. I find that taxis or city transportation is the best. Plus I do not like to drive in foreign countries…and that is just me though 🙂 Thanks for visiting the Austral Islands French Polynesia! This looks beautiful. I’ve noticed you report much about good marine life but what wildlife on land can you find here. Australia appeals to me for the wildlife such as kangaroos and other native creatures. So I am wondering what there is here for wildlife? 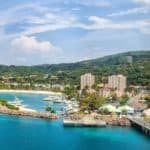 Are these islands accessible for day trips or do you need a bit longer? Yes, you can visit the islands and do day trips. There are boat tour companies that will take you to the different islands. The wildlife is mostly going to be the birds. There are lots species of birds here. Very beautiful and in such abundance. So you could do, say a week here, and still be able to visit some of the other islands. Keep in mind that you will need to allot a day for each island you wish to visit. Thanks for reading about the Austral Islands French Polynesia. Mmm, that first picture has me ready to leave work and go on vacation right now. lol. Nice shot. 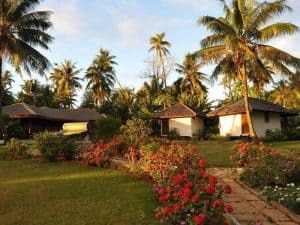 I can’t go now because I have to wait for vacation time, but your review on the Austral Islands has moved it into my top 3 choices for vacation spots. I like how you even included weather, which is rare on review sites. Very insightful. Thanks. Thank you so much and glad you enjoyed reading. It is truly a beautiful beach destination worthy of a visit. Glad you enjoyed reading! This sounds great! I am an adventurer at heart and am always looking for the most remote and distant places on earth. These islands seem like truly hidden gems. It has been a while since I have snorkeled as well so I would love to visit for that as well! 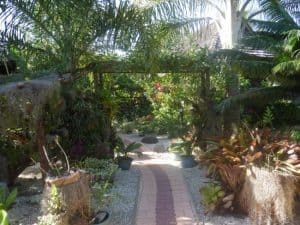 Yes, I do believe that the Austral Islands are hidden gems and worth visiting. Especially if you like to snorkel 🙂 Thanks for visiting Austin! OMG it looks amazing there, and your website looks just as beautiful. The pictures and colors just make you want to go. Do you know if there are any golf courses there? as I love my golf. It definitely looks a place to go and totally unwind. Thank you heaps I will check out your website again. It is amazing 🙂 I am glad you enjoyed reading! You won’t find any golf courses here unfortunately. But to go and unwind, then it is the perfect place. Visit again Paul! Hello! First of all, your review of what I call “Heaven on Earth” is very well informed. I have always been intrigued with the Tahitian Islands, but was never aware of the islands you reviewed. I never knew that there were more further south. The video at the end of your page is amazing. I wish I was there now!! Yes, I would agree that it is heaven on Earth for sure. One of those dream destinations…and not I have not been. I had to do a lot of research on this tiny spot of heaven. I am glad you enjoyed reading! Thank you so much Matthew for continuing to visit my site. I am glad you enjoy reading! Wow what a great post! This is very informative. Even though you said that the accommodations can be scarce, the options and information provided is amazing. I appreciate the information on actually getting to the destination and also traveling while there, as well as the restaurant and hotel info. Even the ads for helpful. I honestly never thought of vacationing here but it is now on the radar. I will be taking a look through the rest of the site as well. Thank you Kayla and I am glad you enjoyed. These islands are remote, but they have so so much to offer. It really is an amazing place. You would enjoy! Wow, I want to go! The water is so clear and I would love to be able to go diving and see the whales. 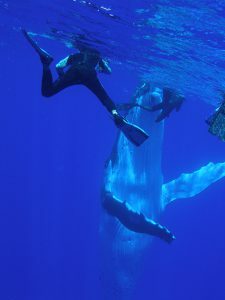 I have been lucky enough to see humpbacks in Hawaii and Mexico but I have only seen them above the water not below. I was able to hear them one time when snorkeling off Hawaii. That was amazing, but I could not see them. That would be amazing to be that close in clear water. I have been to Fanning Island (actually an atoll)in Karibati which is about 1,100 miles south of Hawaii, but only for a few hours as part of a cruise. It takes days of cruising back and forth to get there. I would love to see more of the real Polynesia and have time to enjoy it. Thanks for so much detailed information!